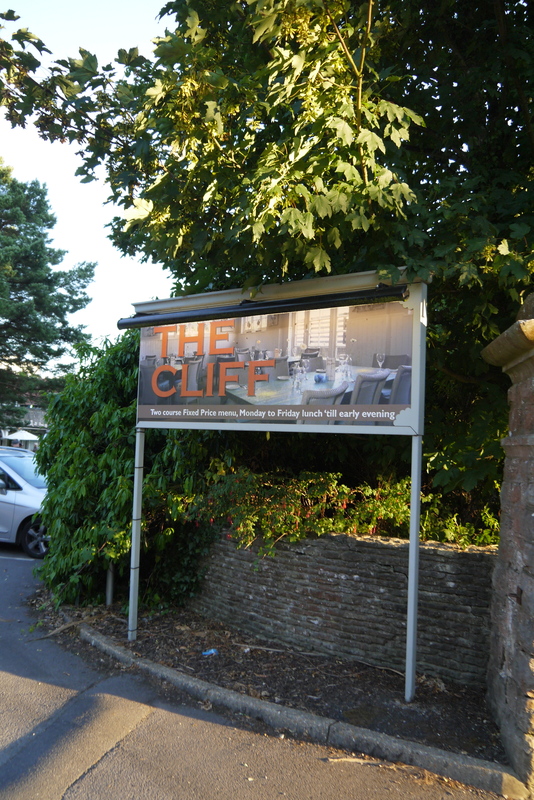 Canford Cliffs is the Mayfair to our dear little town of Poole. Residents roll around in their Ferrari’s and even the local hairdressers has a doorman. Its all very swish and fancy, but we love it. One warm sunny evening I met up with one of my oldest and dearest friends (oh, and new mummy), Lucy for a good ol’ catch up. Lucy had been raving about The Cliff, a pub restaurant with a whole lot to offer, apparently. I was eager to see what all the fuss was about. We grabbed a table in the fancy “beer garden” and snuggled into the fancy atmosphere. Immaculately dressed women had gathered with their perfectly manicured girlfriends, and men in sharp suits arrived to review their recent rounds of golf. 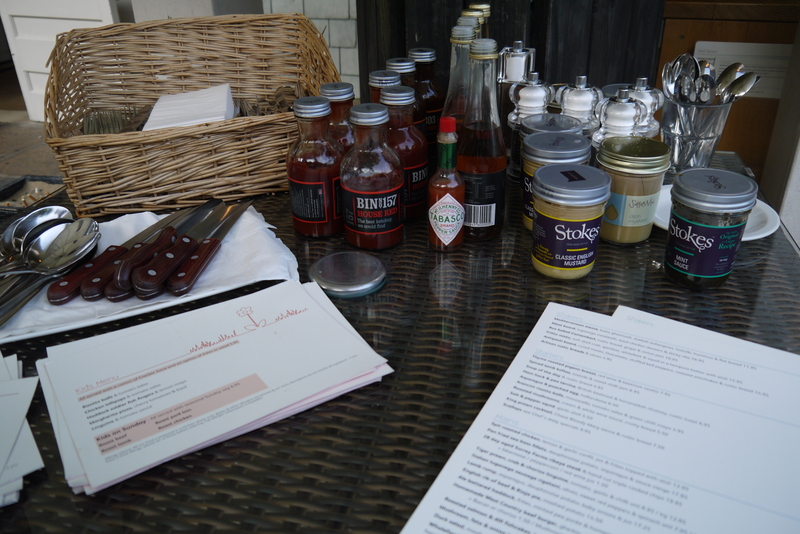 As the queen of condiments, I couldn’t resist nosing at the table dedicated purely to local mustards, ketchups and sauces. I wanted all of them, all at once. We ordered swiftly and set out on our gossip agenda. 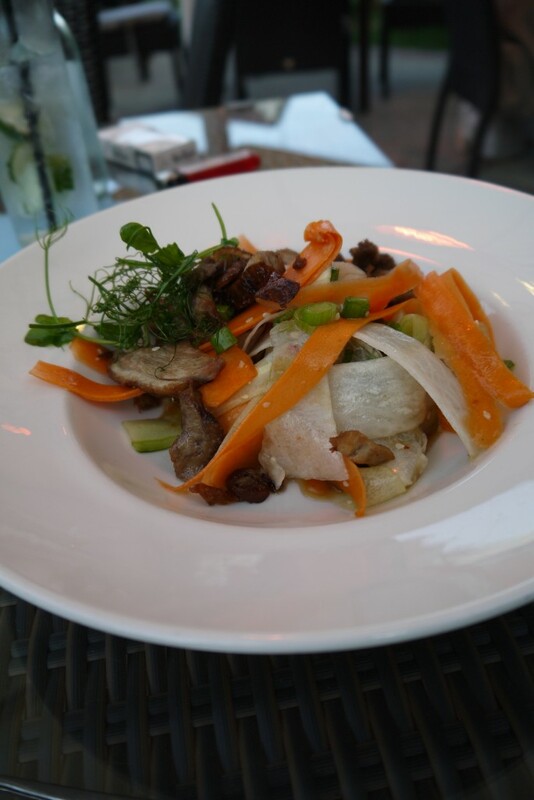 Lucy ordered the Duck Salad which she claimed was the “best ever”. 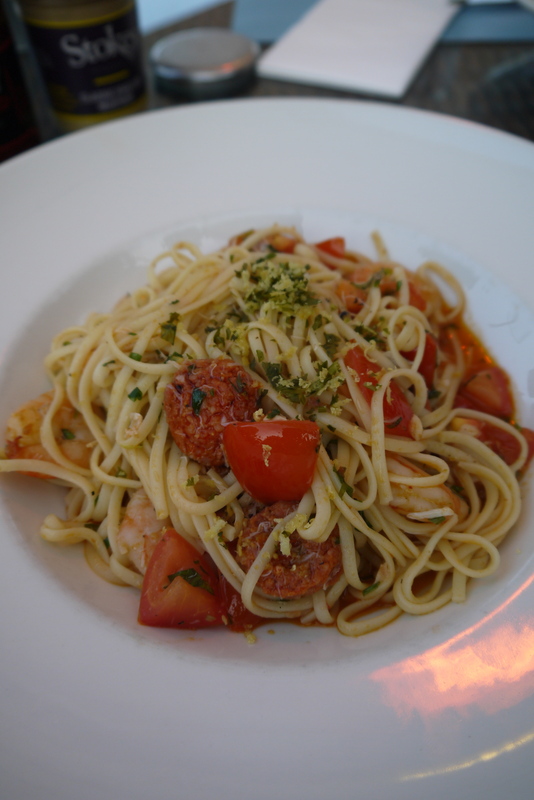 I went for a (large) portion of the crab, prawn and chorizo linguine. I was very very impressed. 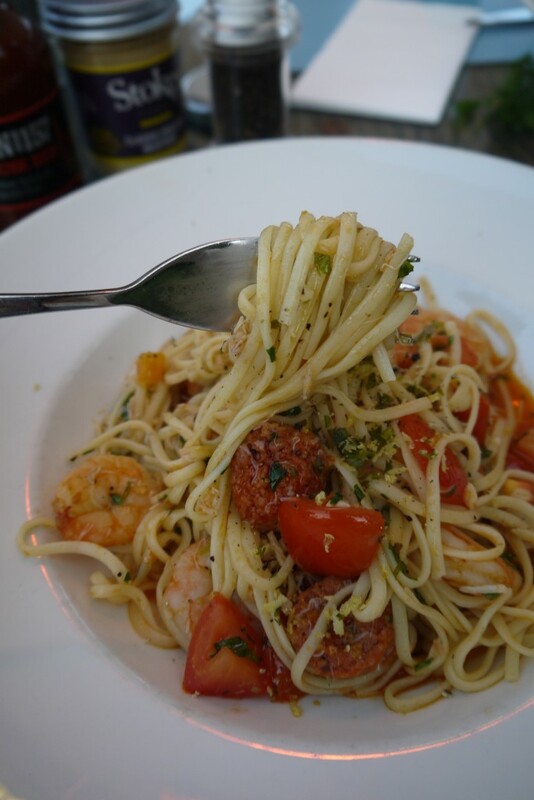 The perfect portion of pasta in a tomatoey sauce with more than generous servings of crab and prawns. 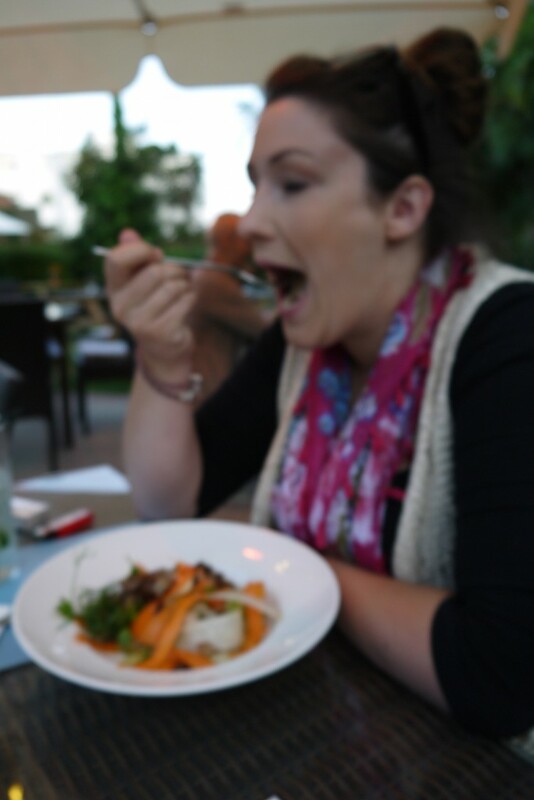 I’d been warned though, make sure there was room for desert. 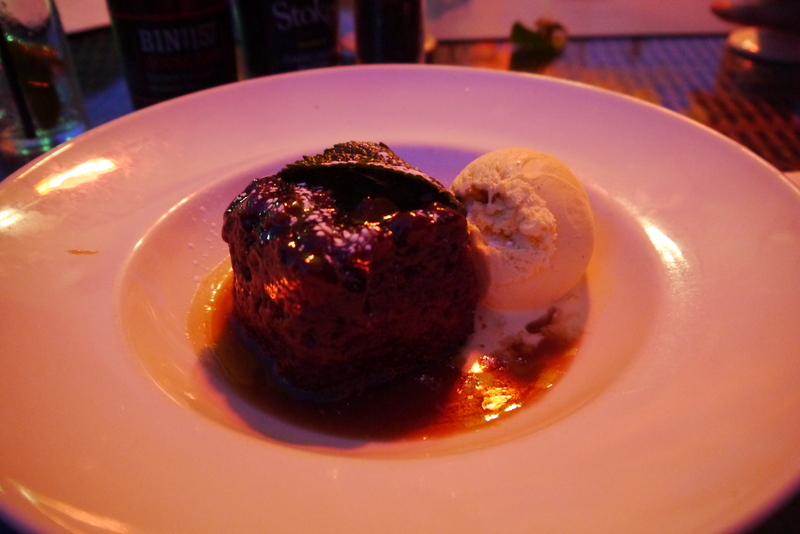 Ok, I didn’t “leave” room as such, but I sure made room for the most amazing Sticky Toffee pudding I’ve literally ever eaten at a pub. 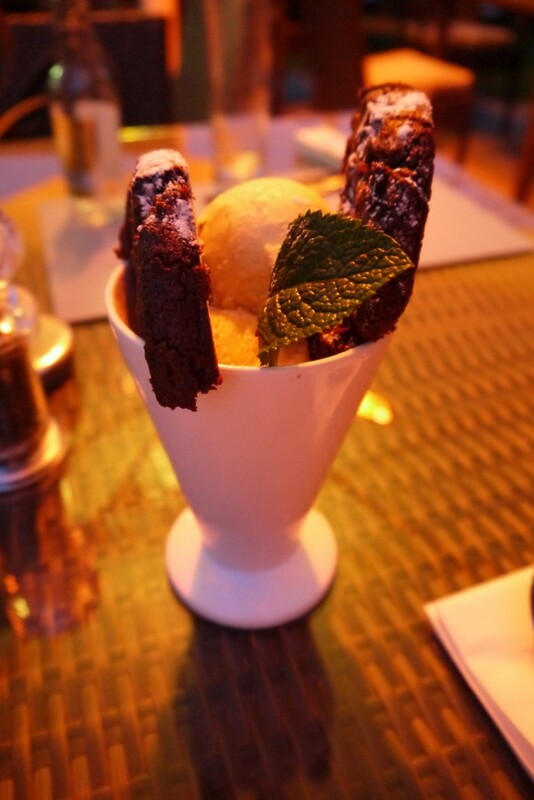 Oh and Lucy’s wasn’t too bad either, a giant cup of cookies and ice-cream. 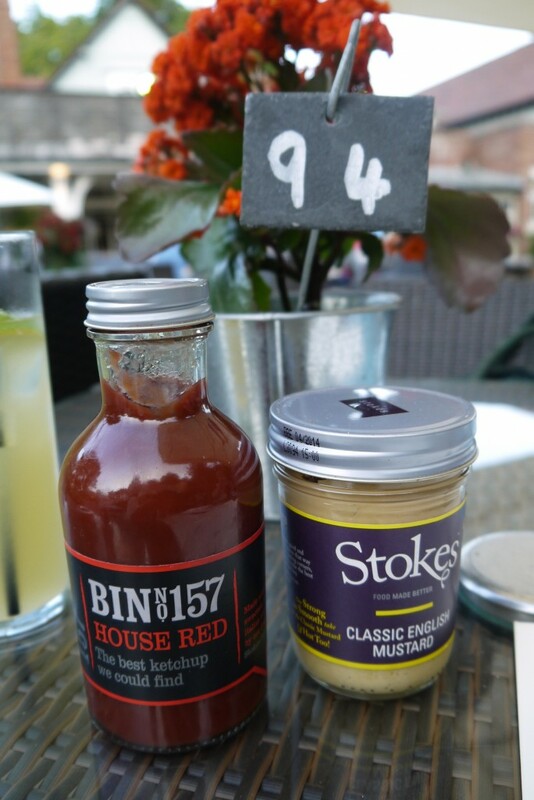 A very indulgent evening in our little luxurious haven. 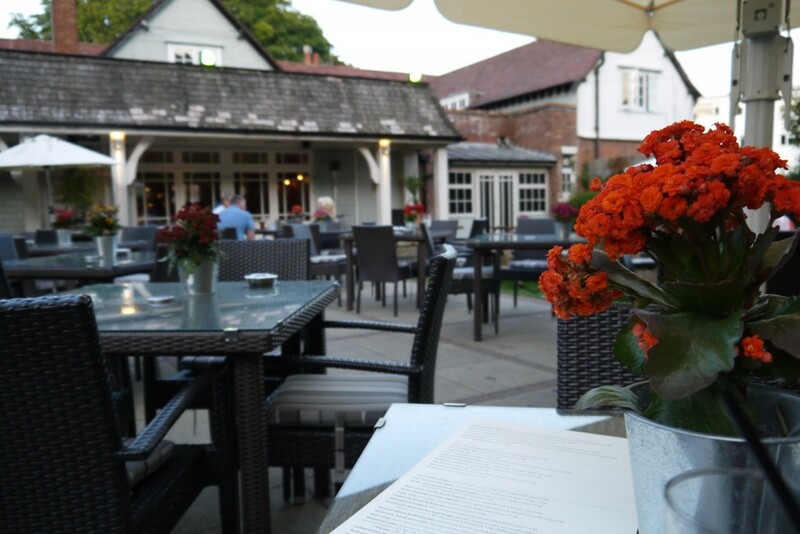 You can view their rather delicious menu here, but make sure you book as it gets rather busy! Last time I went to The Cliff I managed to lose my wedding ring down the back of a radiator in the ladies loos which resulted in them having to rip half the bathroom apart to retrieve it! Needless to say I haven’t been back in a while! !